*NOTE: Personal email settings do not change the invitation email format and behavior for users who set their default privacy level to “HIPAA Compliant”. * That's the default text if this field in your Personal Email Settings is left blank on a graphical email format. On a Plain Text invitation, the default text reads "Click Here to View Your Postwire". Tip: We highly recommend that you customize this! Suggestions include: "Resources for You" or "Your Evaluation Site" or "Your Account Information". 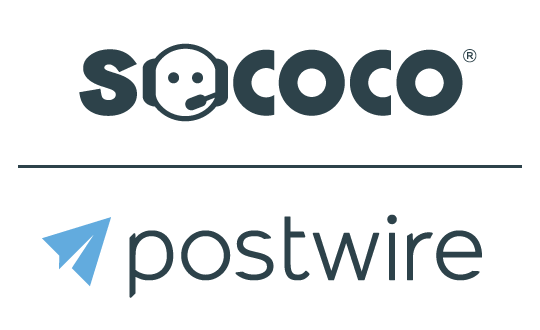 Whatever words you choose to use, make them seem personal and relevant to your primary Postwire use case. Note that this setting takes effect for every Postwire you send using the built-in sharing mechanism. It cannot be edited for each Postwire (without changing the setting beforehand). Subject: [inserts username] has shared a Postwire with you! Example: Carrie Kuempel has shared a Postwire with you! *NOTE: The subject line cannot be changed for users who set their default privacy level to “HIPAA Compliant”. To generate an invitation email that relies on these default settings, click Share This Page With Others. * Tip: Include your saluation in the signature field to move it below the hyperlink to the Postwire in your email composition. See how I include "- Carrie" and a carriage return, followed by my email signature info? Take a close look at the Plain Text Invitiation Email Format example below. See how the "- Carrie" appears after the hyperlink in the signature section of the email--beneath the hyperlink? This little trick helps move the hyperlink up higher in the email compostion which many people prefer.